The threat of a pool leak in Arizona is scary because of the high costs- both to your water bill and the repair work needed. 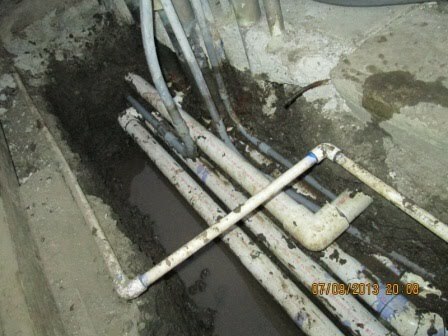 Why make the process more complicated and expensive by hiring a team to find the leak, and another to repair it? Leak Science is the only company here in the Valley serving Phoenix, Scottsdale, Mesa, Tempe, and Greater Arizona that manages the entire process- from finding your pool leak with specialized equipment, extracting the concrete or flagstone, repairing the leak, and restoring your swimming pool deck- like nothing ever happened! This illustration highlights just some of the areas prone to swimming pool leaks. Hover the cursor or select each red dot for more details about the leak prone area. Here we can see broken fittings and pipes. This is one of the hardest leaks here in Phoenix to locate. 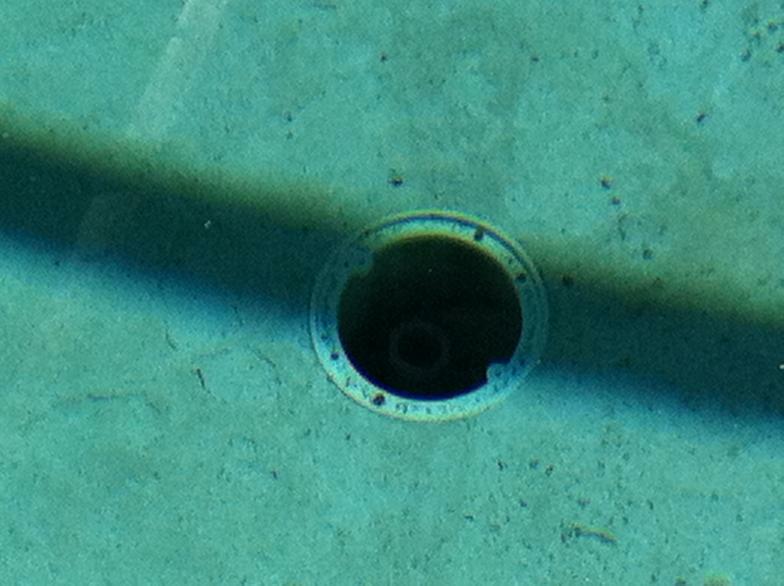 The main drain is the lowest point in the pool & presents the potential for the largest loss of water if it is leaking. We see leaks in the light niche, in the conduit where the cord enters the niche, or around the niche where it is mounted to the wall of the pool. 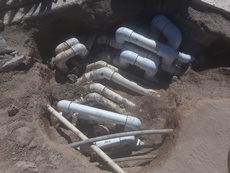 These pipes cause a lot of water loss and may only leak when pool runs. Overlapping tree roots and bad plumbing workmanship generally cause issues here. These are very common in the pool and spa and tend to cause a large amount of water loss. These leaks go undetected for long periods of time as they do not always show themselves. 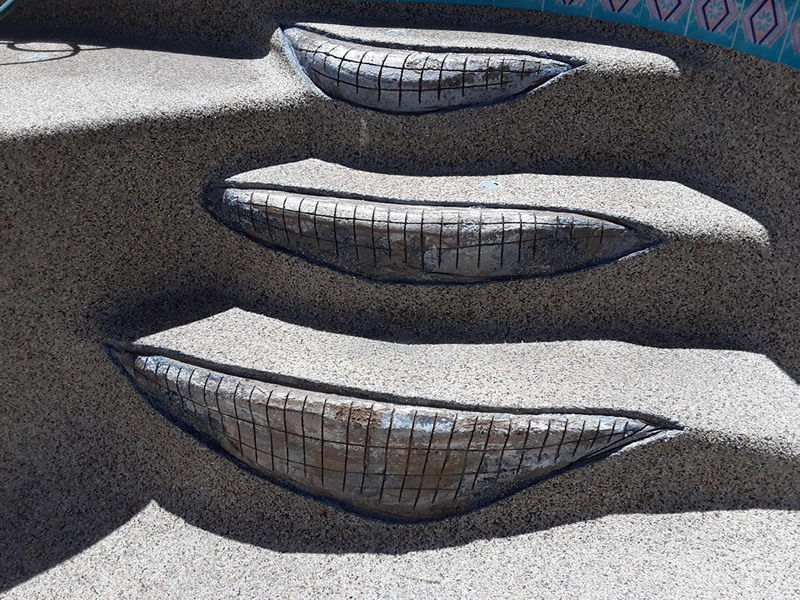 Water features can leak in various places. 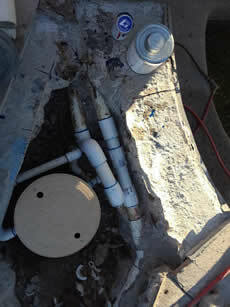 We see them leak in the basins and the piping going up through the water feature. Because pools have so much plumbing, every pipe buried underground is susceptible to leaks at some point in time. Common causes of leaks here at the water leveler can include age, material of can, soil conditions. Sometimes the plumbing in, under or around your pool doesn’t leak at all. 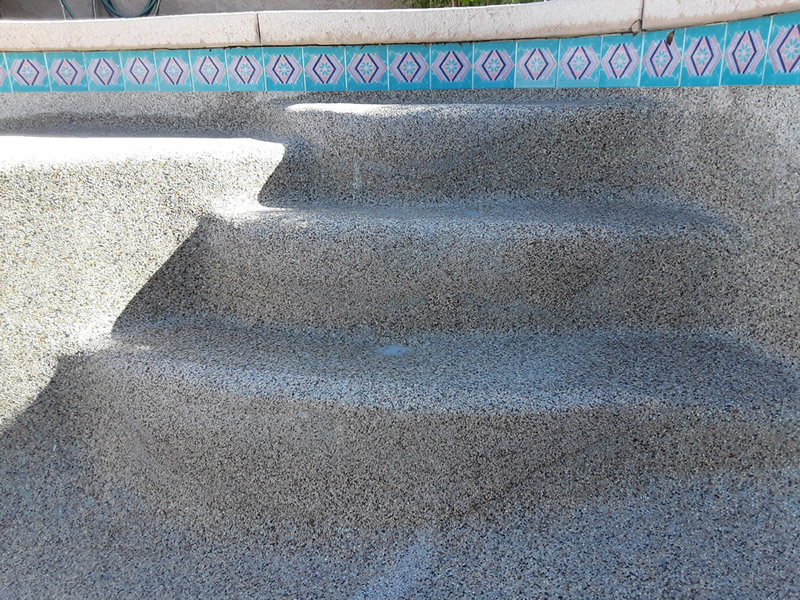 Leaks in your pool equipment can have a large impact on water loss. This broken spa therapy line proposed a challenge to us being that it was located under the massive decking around the spa. With the flag stone being 3 feet thick and the deck itself at 10 inches thick, our team had their work cut out for them. 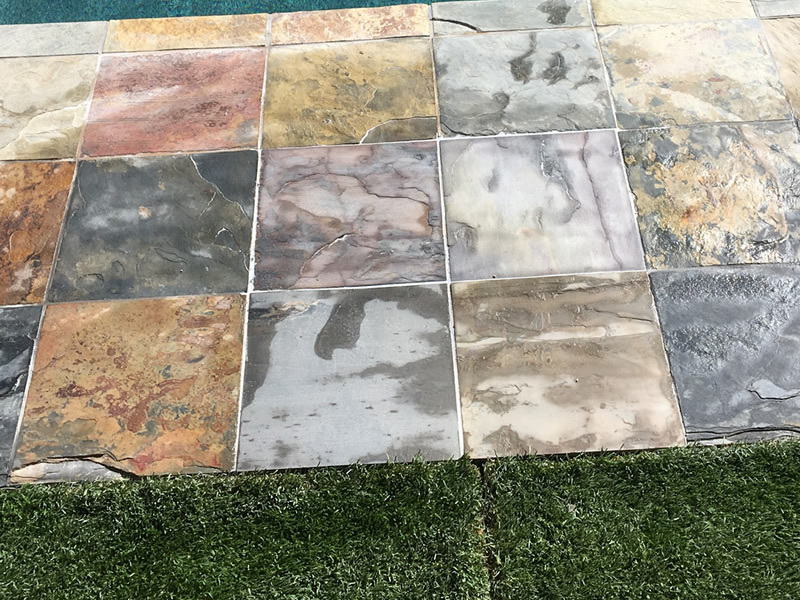 After finding the water leak and repairing the leak, we made sure to handle the flag stone delicately to prevent from any damage. When you have a spa therapy line leak, the first order of business is to use our water leak detection experience to locate the water leak for repair. 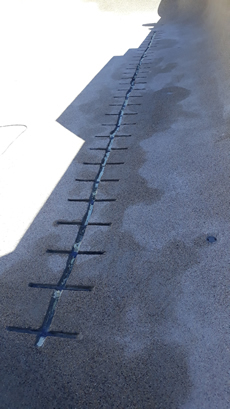 In this case, our team had to actually remove the deck as well as the concrete around the spa which is where we found the pool leak and was able to replace it. 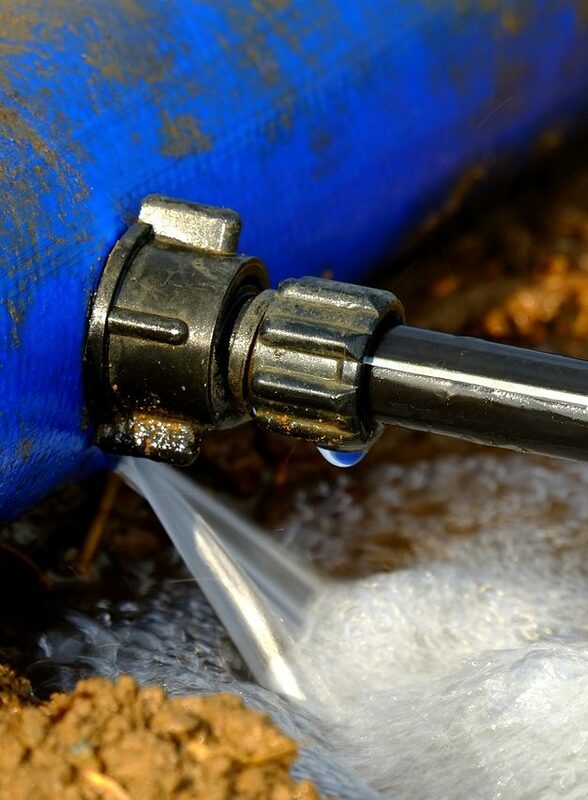 There are many leak detection service companies that will destroy your property to fix a leak, but leave the aftermath for you to worry about. 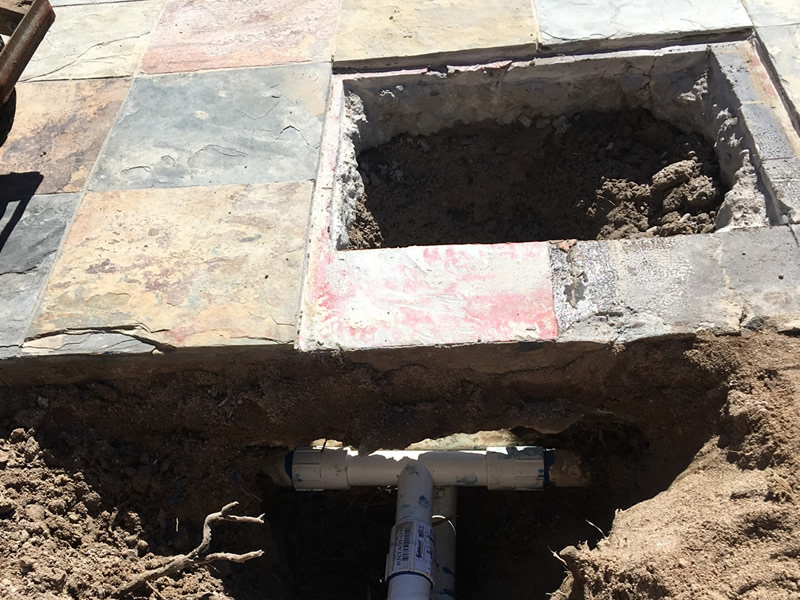 That’s not Leak Science’s style which is why we actually custom matched the Saltillo tile surrounding the spa and set them back into place better than before. 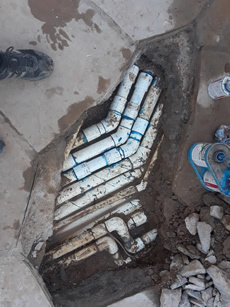 After our team went in and started to inspect where the water leak was occurring, we discovered that it was the result of a malfunctioning “T” fitting to a pool return. We made sure to carefully remove the colorful, custom tile as to not damage anything in the process. With the pipe repaired and confirmation that the water leak was fixed, the slate tile was then custom matched and set right back into place. 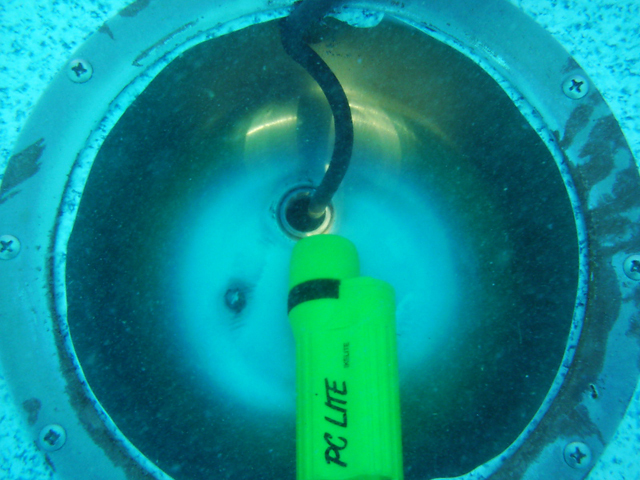 No matter what swimming pool detection company you go with there is one thing that is certain, it can be a very difficult task to seamlessly match a Pebble Tec Pool. Our Leak Science detection team has the experience and craftsmanship needed to tackle this tedious matching process. We were able to go in and flawlessly color match the beautiful Tahoe Blue you see above. 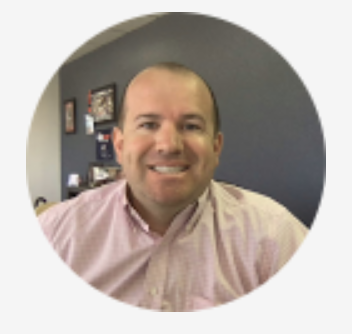 Our client was ecstatic! To the untrained eye, swimming pool leaks are tough to locate even for the experts. 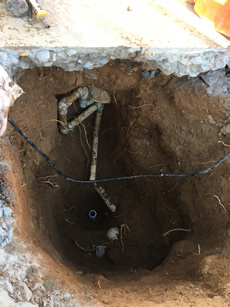 The biggest threat of water leaks in Phoenix and Scottsdale is their ability to remain unseen, costing hundreds and thousands of dollars each month in water bills. Leaks are identified in pipes by isolating a line from the other lines and inducing air or a compressed gas into that line. What we are looking for is a drop in pressure on that line. After we know which line doesn’t hold pressure we go out and listen underground with our acoustic listening equipment. At this point we are listening for air, water or air bubbles escaping from the location of the break. The tricky part for us is getting as close to that noise we are hearing and figuring out what it is that were actually hearing. Finding that noise can be extremely deceptive. 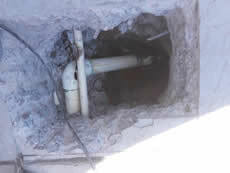 Other methods are with using dye, we are looking for places where the dye gets pulled into a place whether its a crack, void or plumbing inlet or outlet as the water is escaping through that area. This method takes some practice as well. We also will use helium tracer gas and a gas detector. Helium can escape through the smallest cracks and will come up through the ground. Swimming pool leak detection is a highly specialized trade. 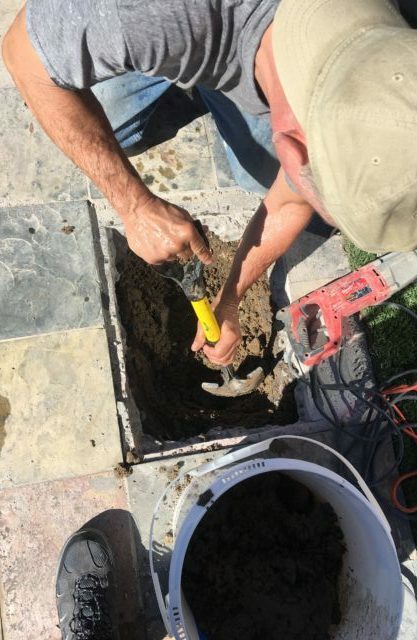 We use advanced leak detection technology that lets us find even the most difficult leaks that are often hidden underground beneath plumbing or pool decking. We use advanced acoustic equipment and our proven process to find these leaks accurately. This equipment allows us to locate leaks sometimes within just inches of the location. 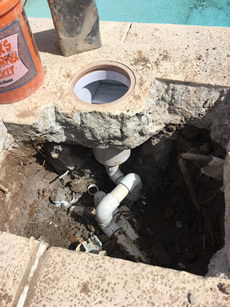 This makes us a great asset to Phoenix area homeowners because, we end up not tearing up as much to gain access to the leak and make the repair. 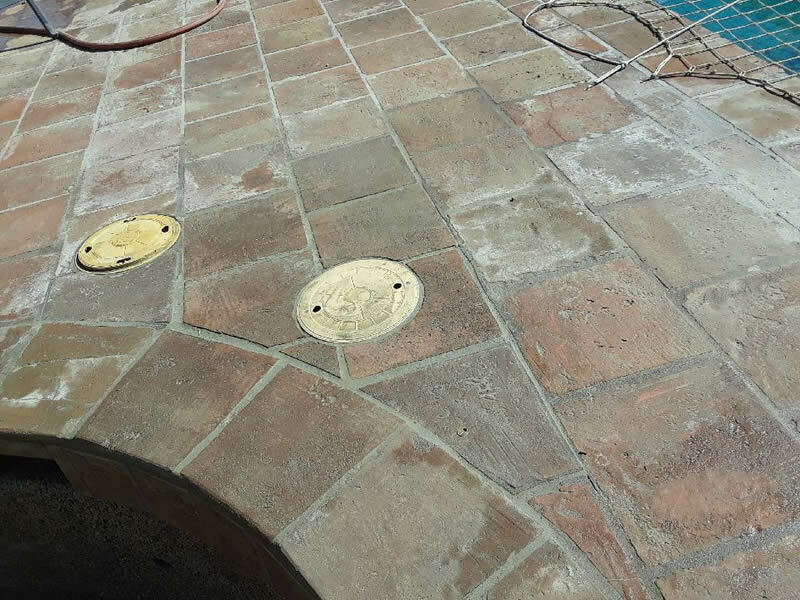 This reduces the put back and doesn’t leave large scars around your pool. 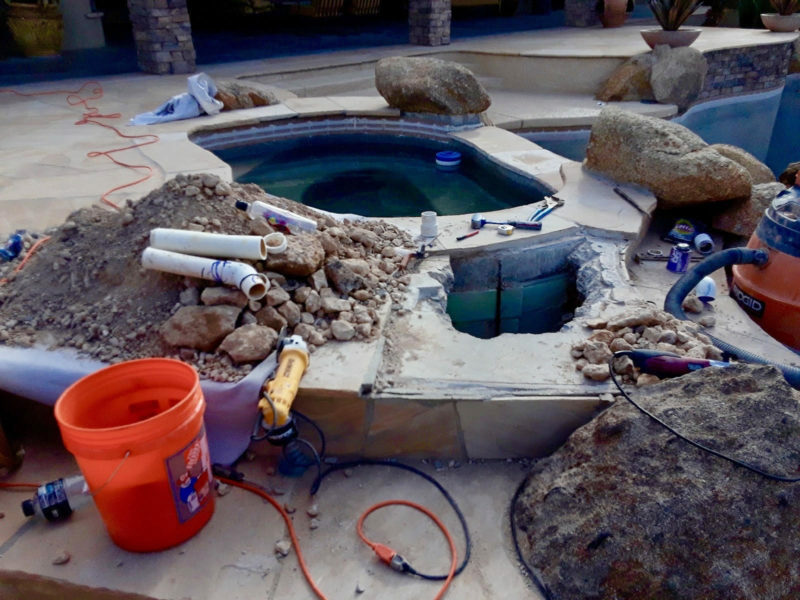 In addition to the specialized training in swimming pool leak detection and the use of state of the equipment, our Phoenix and Arizona technicians also have years of experience in all phases of swimming pool repair, water leak repair and remodeling, giving them the insight to fully understand complex workings of your pool. 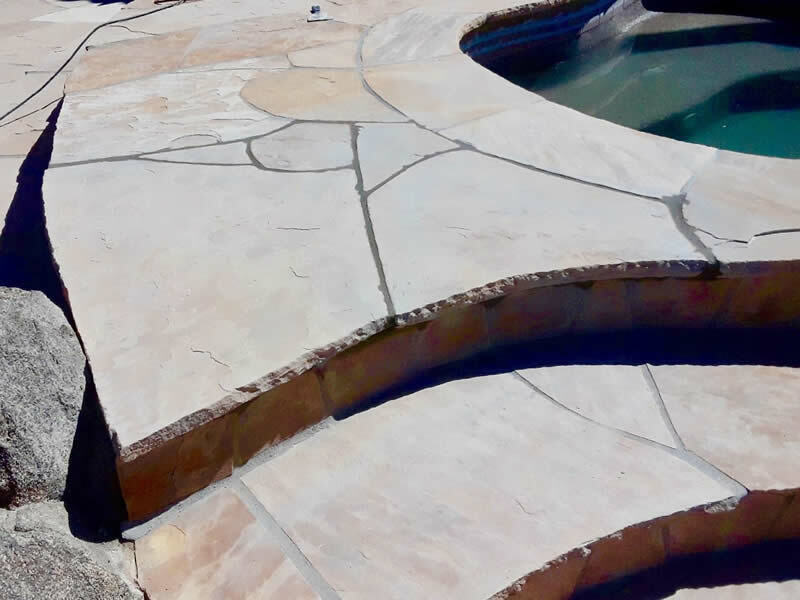 When you hire Leak Science, you can have every confidence we will locate your swimming pool leak and effectively repair it in the most minimally invasive way. "I have had a leak somewhere near my pool filler... After filling the pool manually with the hose since then, I finally got fed up. I tried plumbers and seismic leak detection companies, but couldn't ever get a resolution. I found Leak Science online and spoke with Ryan, who I could tell right away was very knowledgeable about this line of work. 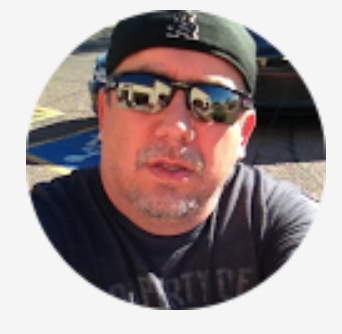 He quoted me a fair price for the detection services and came out for the appointment, determined to find where the leak was, and even offered me a favorable discount because the leak was apparently easy to find. The work was done carefully and even though I think he encountered more problems than he anticipated, he completed the job for the price quoted. I am so looking forward to having my auto filler for my pool turned back on again! Thanks, Ryan!" "I highly recommend Leak Science. I called Ryan late yesterday afternoon and explained that our pool guys haven't been able to prime the pump to our pool and thought there might be a leak somewhere. Despite having a busy schedule today, Ryan fit us in and was out here first thing this morning. 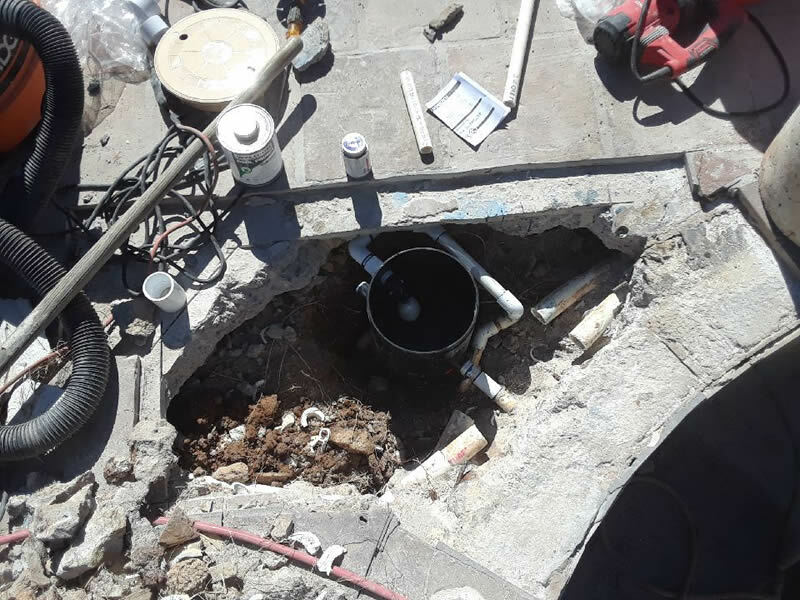 By 11:30 am the leak had already been located and repaired (Ryan discovered that a giant hole had been punctured in the underground pipe) and our pump is now back up and running. 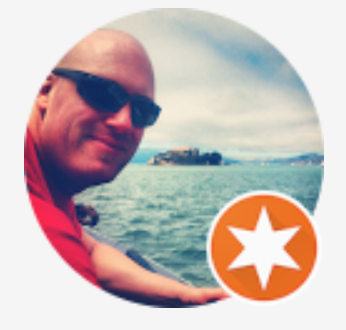 Ryan was courteous, helpful, professional, and knowledgable. We SO appreciate him coming out so quickly. His service fees were also very reasonable!" "Spoke with Ryan on Wednesday. He came out on Thursday and found the leak. 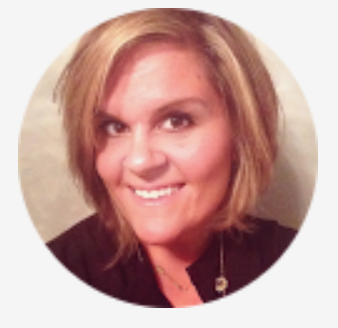 Prepared me for the worse and then pleasantly surprised me with good news. 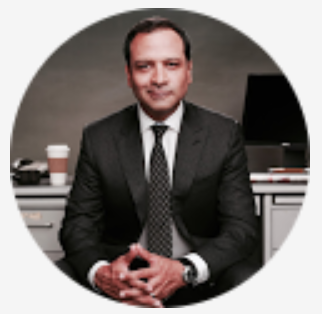 Never met the guy, but completely trust him. His buddy Chris that did our work today was a great guy and the job was done neat and tidy... Thanks Ryan and Chris!" 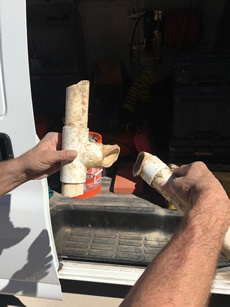 "Leak Science did an amazing job fixing a leak in our main suction line. They overcame many obstacles to get the job done in a timely and professional matter! I can't praise these guys enough for the outstanding job they did! Thanks Ryan!!" "Ryan is a very professional and a 'know how' guy. He found my leak quick and gave me many options to fix it. He is also pretty honest in terms of price. Totally recommendable!"